River otter have disappeared or are rare through most of their West Virginia range.The good news is that West Virginia wildlife agencies reintroduced otters and their populations are slowly rising.... This is a good sign that river otters are reproducing. 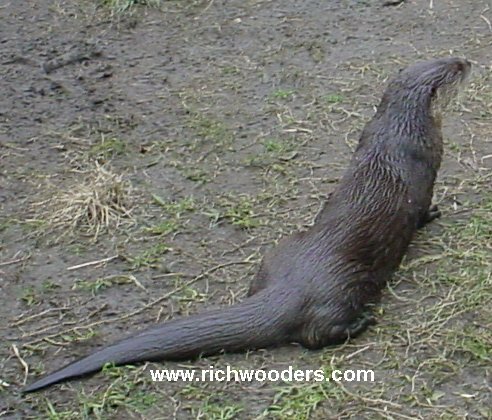 River otters are aquatic mammals but they do travel across land as well. or muskrats, the otter only makes a small ripple when swimming. Otters are expert swimmers and divers and unlike beavers or muskrats, the otter only makes a small ripple when swimming.